People hike for a lot of different reasons. Exercise, personal accomplishment, the comradery of being with like minds, whatever. I hike to see things that can only be reached by foot. I hike for grandeur and the splendid. For amazing vistas and incredible sunsets. In all my treks I have never been so impressed, never so awe struck as I was upon reaching the Evolution Basin. 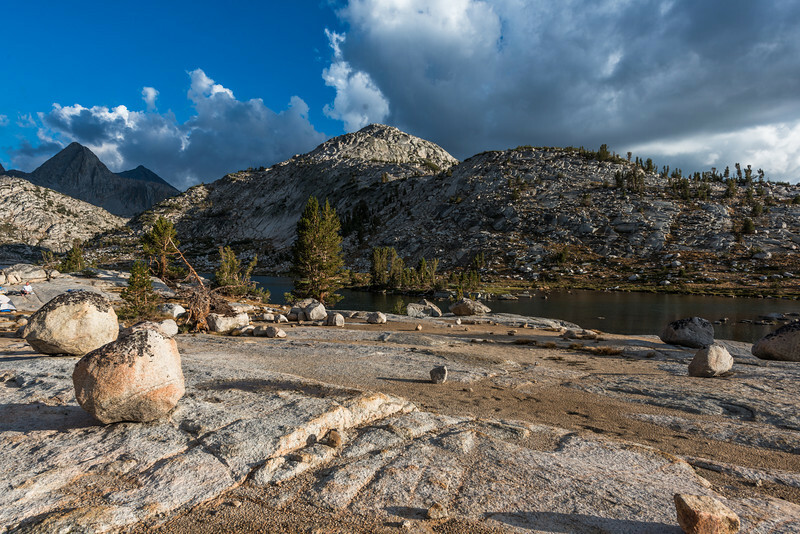 This was the John Muir Trail that I had fantasized about for a year. Bold, austere and yet so incredibly beautiful it almost hurt my eyes. I felt like the proverbial kid in a candy store and as the sun began to set, the landscape became astonishingly vivid and alive.